It ain't heavy, it is the Emperor Gods.... the palanquin that is supposedly used by the deities were being carried out for the ceremony. 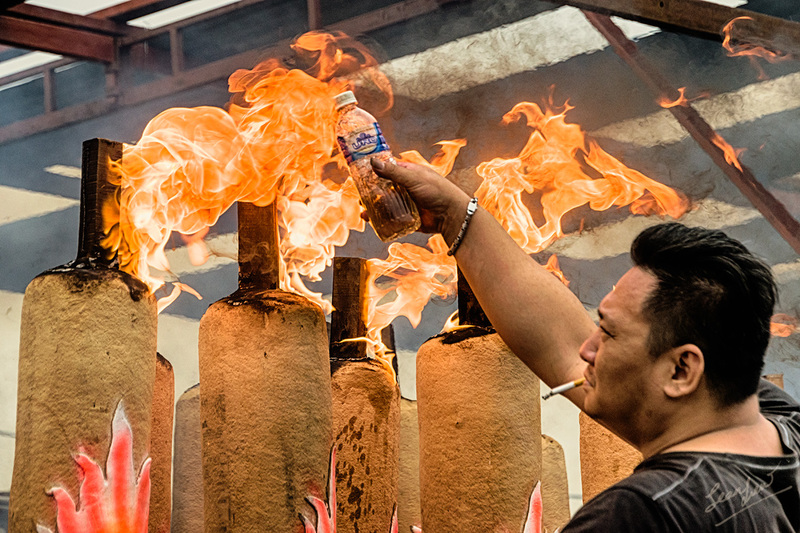 On the 12th of October, the Ampang Nine Emperor Gods temple went out to invite the Nine Emperor Gods from a nearby river. 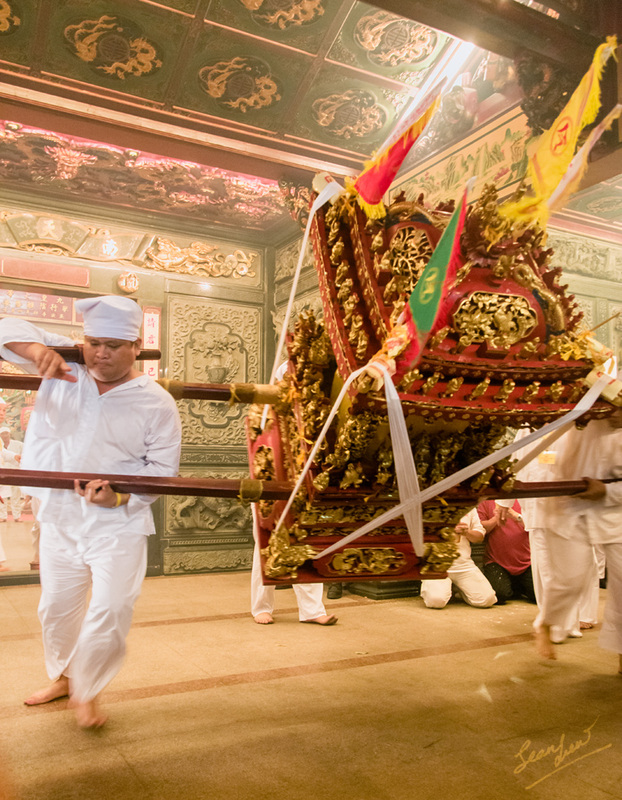 The invitation ceremony and procession started at 7.35pm and the palanquin returned with the urn around 10pm. And so the festivities start... Huat ahhhh! Fire, fire... - dragon joss sticks being lit with kerosene whilst the guy smokes. Dragon ball... Dragon dances were performed as part of the ceremony and the procession to invite the Nine Emperor Gods - photo by Bob. 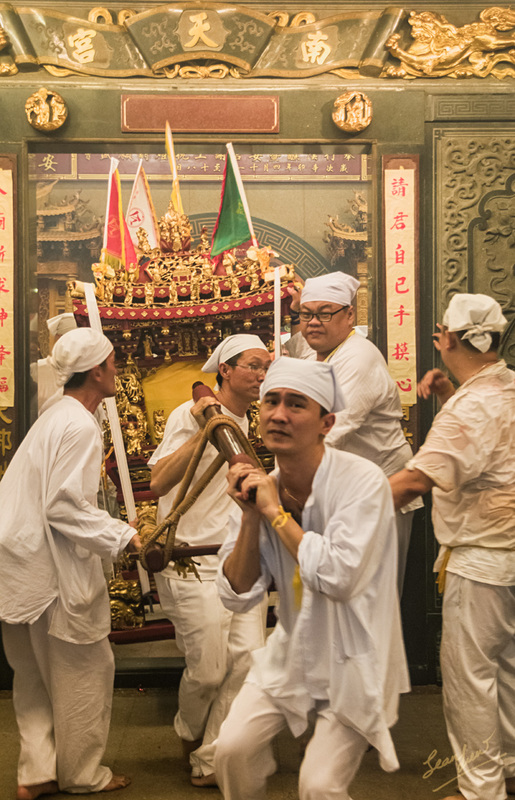 Rock - a - bye Emperor Gods - the palanquin rocking to and fro as they move it from the temple. Devotees believe that the rocking indicates that the deities are present in the palanquin. 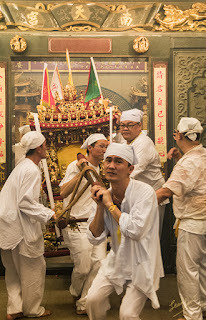 There will be another procession on Wed night (14 Oct 2015). However be prepared for a major crowd and traffic jam as it is a public holiday. Even now at 12am, the traffic is backed up to Spectrum at Ampang.